The holidays are all about traditions, and this year we’re starting a new one: 3December. 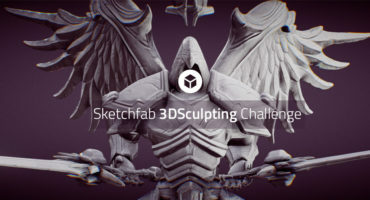 It’s an opportunity for you to challenge yourself with a new 3D topic each day for 3 weeks. Topics will be announced each day from December 3rd to December 23rd, and you will have until January 1 to complete your models. To stay updated on each day’s topic, head over to the forum and subscribe to the 3December category – instructions are provided here. Every time a new topic is announced, you’ll receive a email. You’re welcome to use whatever 3D technique and workflow you prefer to create your models. 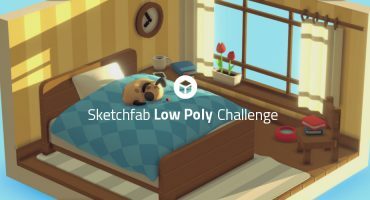 If you complete all 21 of the topics by January 1st, you will be entered into a raffle to win one of three $100 Amazon vouchers, and 3 months of Sketchfab PRO. Use any tool and workflow you like to create your models. The models can be static or animated. Give your models titles and brief (max 50 words) descriptions. 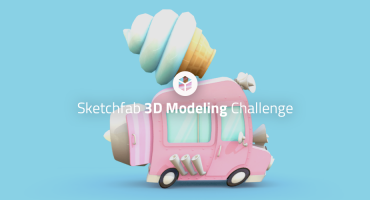 Once you’ve created your models, upload them to Sketchfab, find the tag for that day’s topic and add it to your model. Create your own thread in the 3December Entries forum to share and keep track of your progress. Use the #3December hashtag if you want to share your entries on social media. Entries will be documented and may be used for promotional purposes. Contestants’ models must be uploaded to Sketchfab and tagged correctly to be considered. The winners will be contacted by Friday, January 4th, 2019.